In early 2018, The Kitchen Project launched with four fabulously unique food entrepreneurs. Over the course of 26 weeks, our foodies have flourished into capable business people who between them sell their products at 11 markets across Auckland as well as online and in stores. Click their profiles below to learn more about their journey. Just Chicken to an ‘a-ha’ moment at WOMAD and a hand-crafted marinade that left all their taste-testers wanting more. Owner and creator of Sweet & Me – Pacific-inspired cakes crafted to reflect the spirit of the Islands, but without the hefty price tag. Trained baker Carmel is taking Auckland’s local markets by storm with her delicious hand-made pita breads. Mother-of-one-Ursula’s love of animals goes way back, having been raised on a farm in West Auckland. But it wasn’t until she discovered that her baby daughter is dairy-intolerant that the idea for Fressertz was born. As vibrant as her salsa's Yvette started the The Red Hot Kiwi Company with the goal of bringing authentic Mexican food to Kiwi taste buds. 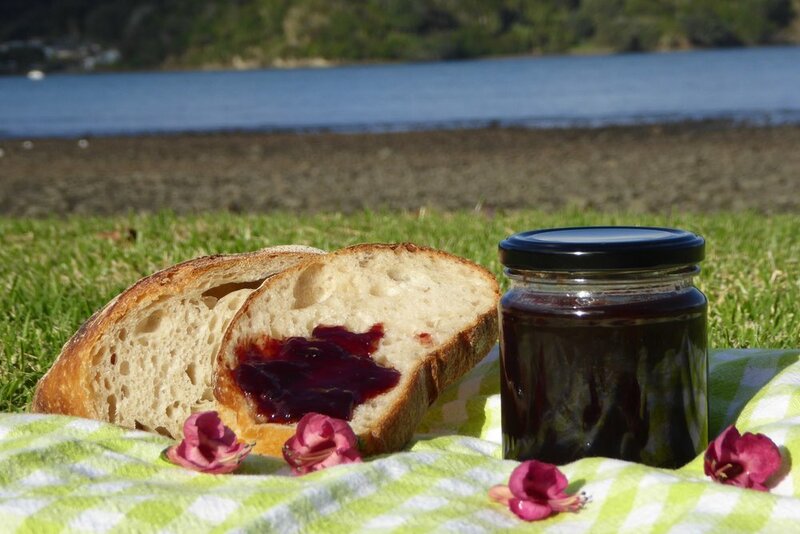 Locally sourced produce is the secret ingredient in Luna Pura’s delectable range of jams and preserves. After four years’ teaching Indian cooking classes from their Te Atatu home, Banu and her husband Sidharth have launched Banu’s Spices, a range of freshly blended spices sure to give your cooking an authentic Indian feel. Rukau or Taro Leaves is the inspiration for Ina's business Rukau Hut making traditional Cook Island delicacies with a modern twist. Traditional Israeli bread stuffed with delicious fillings. Find them at Kumeu Farmers Market (third Sunday of every month) and Coatesville Market (first Sunday of every month). Follow them on Facebook. Rukau (taro leaves) is the secret ingredient that makes these pies, burgers and other traditional Pasifika food taste so good. Find them at Otahuhu Farmers’ Market (every Thursday). Follow them on Facebook and Instagram. 100% Artisan made fresh salsa. No added sugars, no preservatives. Find them at Oratia Farmers Market (every Saturday) and the Grey Lynn Farmers Market (every Sunday). Follow them on Facebook and Instagram. 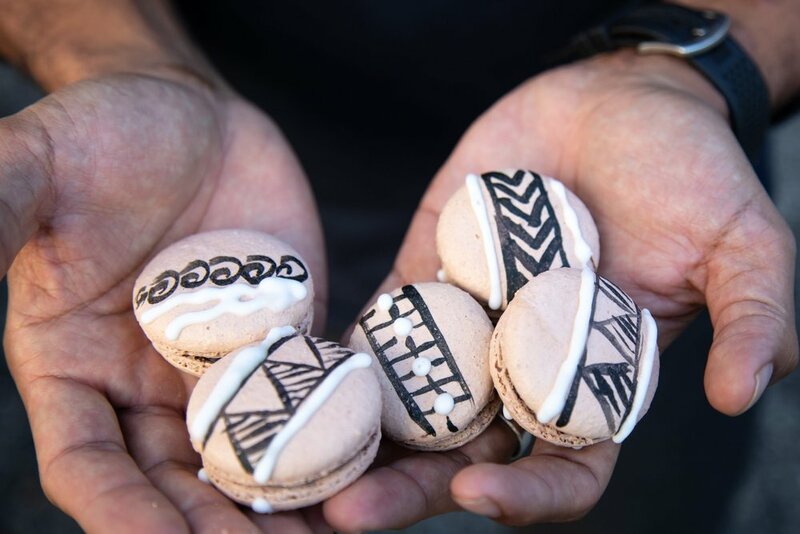 Pasifika-inspired specialty cakes and treats. Find Sweet & Me Find Sweet & Me at La Cigale (French) Market in Parnell (every Saturday and Sunday) or visit their online shop. Follow them on Facebook and Instagram. Delectable jams and preserves made from locally sourced produce. Follow them on Facebook and Instagram.